Champion City Comics artist, A. Kaviraj, is a huge fan of Big Brother. He's decided to draw the season 14 cast as superheroes and this week, he has selected Janelle. Why? 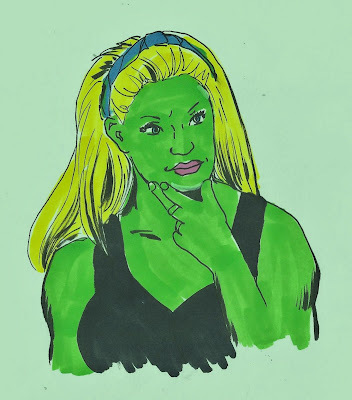 Kav says, "This week I drew Janelle as She-Hulk. Reason? She's powerful, man! And, unlike the Hulk, who is basically a special ed kid on steroids, Janelle has a brain. She outwitted Mike Boogie Woogie Bugle Boy-he thought his strongest player was safe and the look on his face when Head Of Household Willie nominated the dude was priceless. 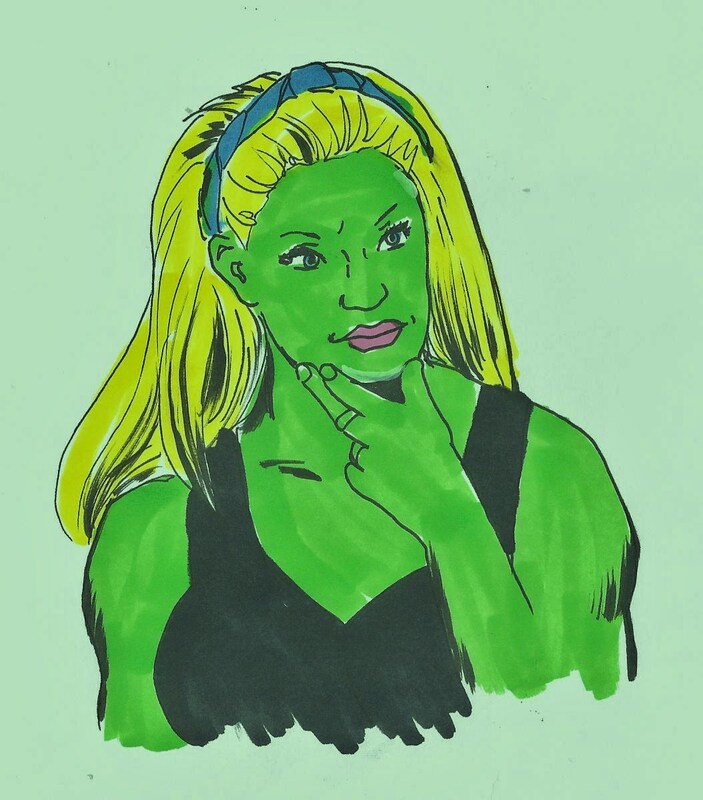 Don't f*** with She-Hulk!"